Join a Pledge Club Today! Monthly offerings are our most important source of support in the effort to bring the Mother of God’s Message of Hope and Peace to millions around the world! The Intentions of all members are remembered in special monthly Masses offered specifically for the members. A beautiful Certificate guarantees that you have been formally enrolled in the Honor Roll of your group(s) and are eligible for all the benefits of membership. 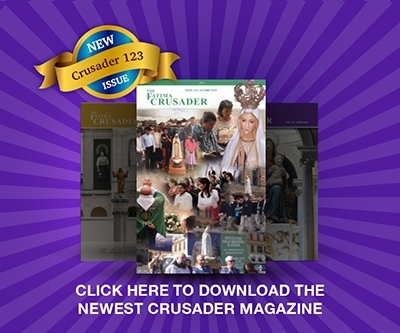 The members of each group will receive a quarterly, colorful newsletter to inform, strengthen, and spiritually unite all members, as well as to remind each of us that all our efforts must primarily be for the glory of God and the good of souls. In appreciation of your love for Our Lady and the support of your group(s), a small token will be sent to you. We are blessed to be living in the age of Mary. Our Heavenly Mother has always been a most generous Intercessor on behalf of all Her devotees. However, in this time, as we strive for the Triumph of Her Immaculate Heart, if it is possible for the Mother of Mercy to be even more merciful, She continues to be generous and repay us beyond what any of us could ever be capable of imagining. And those who continue to help spread devotion to Her Immaculate Heart by their prayers and sacrifices, She will neither forget nor leave abandoned in their hour of need.